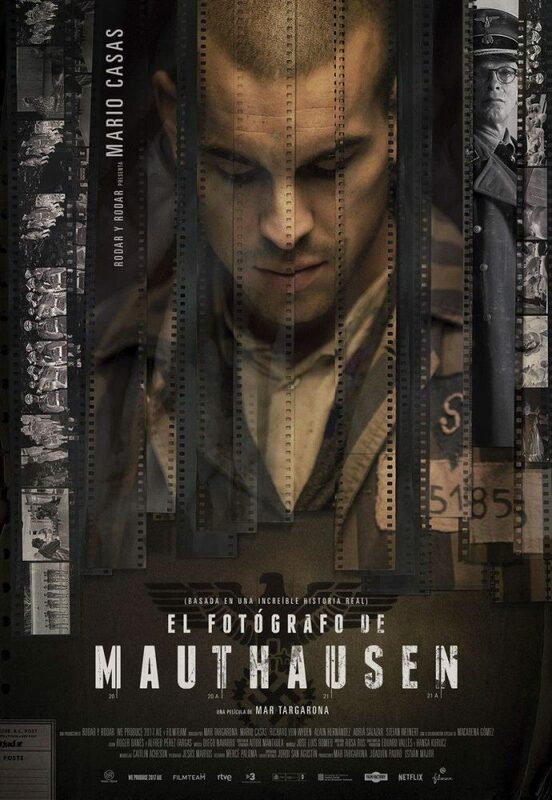 Richard van Weyden and Rainer Reiners play in the new spanish Netflix-movie »The Photographer of Mauthausen« from Mar Taragona . The movie will be released on Netflix on 16th of February. Production: We Produce 2017, Rodar y Rodar Cine y Televisión, TV3, RTVE, ICAA, ICEC, FilmTeam. Casting Director: Irene Roqué. Due to his father’s occupation (a miner and welding technology specialist) Richard spent the first years of his childhood in Nancy/France, Hamburg, Berlin, Hong Kong and Cape Town until his enrolment at school in Frankfurt on the Main. He dropped out of school before his A-Levels in order to become an actor, joined diverse independent troupes of actors, toured across Germany and at first worked as a prop master, light and audio engineer, scene painter and assistant director – until Michael Cacoyannis spotted him in the canteen of the acting school at the city stages of Frankfurt and trained and hired him for his opera production “Iphigenie”. Richard studied drama at different places and was trained as dubber, pitchman and voiceover in Munich. Since then he has been working both as an actor for film, television, theatre and as a voice-over artist. Rainer Reiners was born in 1960, the youngest of five children on a small farm in a tiny village in Northern Germany, where he lived a childhood of unimaginable freedom. At 15 he was forced to move to the Palatinate. There was a new father and he had to attend the high school. He became a left-wing radical, grew his hair long, learned to play the guitar, dropped out of school and sought his happiness in such unpretentious occupations as construction worker, miner and lumberjack. He didn’t find it, either professionally or otherwise. He wrote love songs full of weltschmerz and just missed becoming the German answer to Leonard Cohen. Then he became a lighting technician, which enabled him to witness the wonderful one-man play, “The Double Bass”, by Patrick Süskind. In 1985, he attempted to become a film director by studying advertising in Berlin, hoping to somehow become the German answer to Woody Allen. He also performed “The Double Bass” on stage and afterwards switched his field of study to acting at Die Etage, Berlin, a program from which he graduated in 1990. Since then, Rainer has worked in many theatre productions as well as in international films, TV movies and series.